Cat Ba island is situated a mere 50 km east of Hai Phong city in the north of Vietnam. Cat Ba Island is part of a chain of 366 islands that lie within the larger area of Halong Bay. 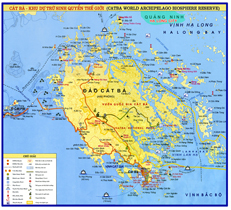 At over 200km2, Cat Ba is the largest island in Halong Bay. The island is easily accessible and matches neighbouring Halong Bay and Bai Tu Long Bay for stunning natural beauty. 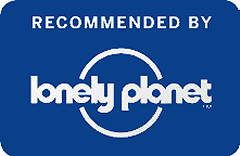 It also offers visitors the added options of relaxation, adventure and cultural exchange. In April 2005, Cat Ba was officially recognized as a World Biosphere Reserve by UNESCO. Cat Ba is known for its rugged limestone mountains, hot & cold springs, moist tropical forests and coral reefs, as well as its deserted beaches and casual island lifestyle. Cat Ba is now much sought after by both domestic and international visitors as a ready alternative to the city madness and bus tour boredom. Cat Ba Ventures is the only locally operated tour company. It provides a unique insight into the island and its people. We know because we live here. 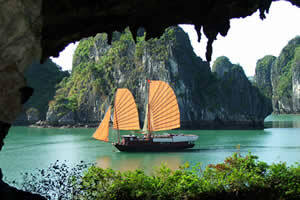 Sailing through Ha Long Bay is not only a fascinating experience, but is an adventure as well. Our sail boats take you to remote parts of the Bay and ensure you experience its tranquility away from the crowds of other tourist boats. Setting sail, lounging on the deck and having a quiet beer, while we take you to lagoons, untouched beaches, and amazing caves – what could be better? If needed, our sail boats are equipped with motors to take you anywhere, even on still days. The calm emerald waters of Ha Long Bay are best explored by kayak. 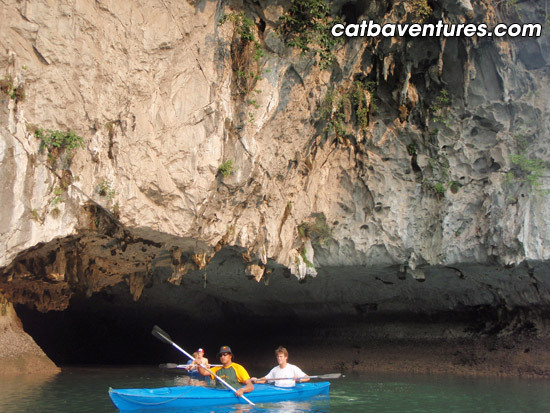 Cat Ba Ventures has a range of tours suited to beginners through to experienced paddlers. This exciting getaway combines the perfect amount of physical activity and relaxation. Exploring rock arch, hidden lagoons, and floating fishing villages, you’ll meet locals and discover a side of mystical this World Heritage Site that you can’t get from a tourist boat. 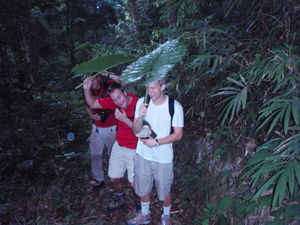 Hiking in Cat Ba National Park is the best way to discover the jungle here. Follow a local guide through the mountain rain forest and valley to Frog lake, climb up to the top of the mountain where you have a great view. Enjoy bird watching, sightseeing in the pristine forest. Along the way you have a chance to see wild animals: Native cats, squirrels, spotted dear, snake, thousands of butterflies…and if you are lucky, a Cat Ba langur. Have lunch at a local house with home cooked food in Viet Hai fishing village and take a boat back to visit Lan Ha Bay and floating fishing village. Optional swim at a secluded beach. There are over 3000 limestone islands in the Ha Long bay region of Vietnam and we hardly scratched the surface in our two week quest to explore them. 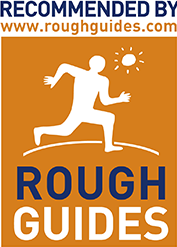 It’s unusual to spend an entire climbing trip on a boat, but then it’s unusual to do over 40 new routes without using a rope. 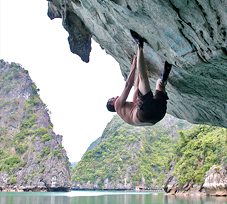 It seemed pointless to mess around with a drill when we’d just found Deep Water Soloing paradise. A UNESCO world heritage site and truly a natural wonder – Halong Bay is made up of over 3000 limestone karsts that soar skyward out of calm emerald waters. Within the islands of the Bay there are hundreds of beautiful caves, including many famous names such as Thien Cung, Dau Go, Sung Sot, Tam Cung and Bo Nau. Some of them are archaeological sites retaining tangible archaeological evidence of Soi Nhu and Ha Long prehistoric cultures such as Soi Nhu, Me Cung, Tien Ong, Thien Long, Hang Trong, and Trinh Nu caves. The name Ha Long Bay is literally translated as “Bay of Descending Dragons”. A legend has been handed down in the local area relating to the name Ha Long Bay, which says: “Long ago, in the first founding days, the Viet people were attacked by foreign aggressors. The Jade Emperor sent the Mother Dragon and a herd of Child Dragons to help the Viet fight the invaders. While the enemy vessels were launching massive attacks against the mainland, the dragons descended in flocks from the sky.